Snap pictures of yourselves, your favorite showroom setting, your favorite piece of IKEA furniture or any of your interesting moments in the IKEA store. 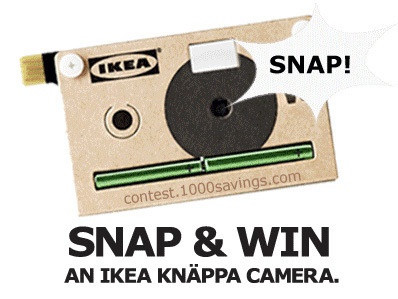 Snap a funniest or most interesting moments with your family or favorite piece of IKEA furniture taken at your lovely home. Snap a pictures of your kids in those funny or touching moments at anywhere. Hashtag your photos & upload them onto Instagram. 50 pictures with most likes will shortlisted and submitted to IKEA for winner selection. Visit IKEA Malaysia website for more details. Let's crack the egg & win iPad Mini, Samsung Galaxy S3 Mini, iPad & many more!